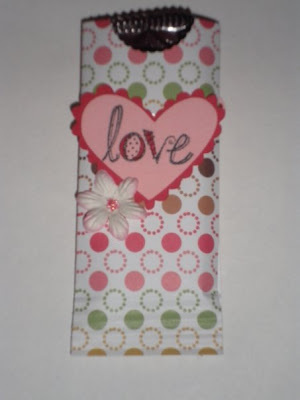 These are some more items that I am selling at the scrapbook store which I rent a space at. The cupid is from sweethearts cartridge. I used my circle and scallop punches for the rest. 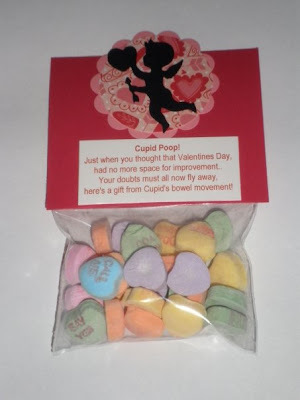 here's a gift from Cupid's bowel movement! Mini hershy bar. The heart and scallop heart are from doodlecharms cartridge. The "love" is a stamp.